a girl with an attitude who LOVES to read! Have you ever felt like you just aren't good enough? Have you ever compared yourself to the model on a magazine cover and felt like there was something wrong with the way you looked? Have you ever been told that because you are a boy you have to like sports, play them and be good at it too? Have you ever heard the phrases, "be a man" or "boys don't cry" and felt like something was wrong with you if you did show emotions? Do you feel pressured to give up your self-identity because you need to be "normal" and "fit in?" "WHY FIT IN WHEN YOU WERE BORN TO STAND OUT?!" Growing up is hard enough without all the superfluous rules-spoken and unspoken, that life throws at us. Children, teens and young adults are born into a society where they are pressured to behave in a certain way because of their age or gender, and do so without arguing. People look at you in a strange way if you tell them you aren't going to college straight after high school. Girls are told that they have to be thin like a model or to dress a certain way because that is "the fashion." Boys are told they aren't "manly" if they cry or that they have to like sports because its "the guy thing to do." How unfair! Teenagers are faced with pressures that make them resent society, compromise their beliefs and morals and have a distorted outlook on life. They are programed to think that "going off the path" or being "different" is wrong. Instead of teaching teenagers that being an individual is wrong, society should encourage them to be unique and be happy! It takes strength and courage to speak up, stand out and be yourself! 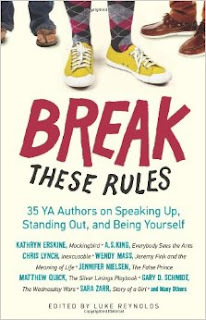 Break These Rules is a collection of 35 short essays written by famous authors who share their personal stories about how they learned to speak up, stand out and realize it is 100% acceptable to be yourself! As a teenager in today's society I am constantly grappling with the idea of being myself or giving into peer pressure and "following the crowd." I have learned that sometimes it can be challenging to balance individuality and fitting in. Having read Break These Rules opened my eyes to different techniques, advice and a new perspective from adults who have gone through similar situations. It is normal to struggle while finding yourself. Reading Break These Rules is definitely a step in the right direction to ending the battle. Remember to always Break These Rules and be yourself! Close your eyes and imagine it is the 1920s. Good. Now picture a huge mansion with loud Jazz music playing, fancy and colorful dresses, expensive and classy suits and lots of drinking. Welcome to the house of Jay Gatsby. He is the owner of the super expensive mansion and lavish party you just pictured. But who is Jay Gatsby? Truth is, many have no idea. He is a mysterious man to everyone around him. Every weekend he throws crazy parties in his Long Island mansion. People come far and wide, invited or not, to experience a Jay Gatsby party. I am about to tell you the crazy story of the summer of 1922. It was a summer of romance, friendship, and death. No, I am not going to tell you who dies, but I will tell you about the love stories of Jay Gatsby, Daisy and Tom Buchanan and Myrtle Wilson. A little background before I being. Nick Carraway lived in the small house next door to the magnificent Gatsby mansion. He lived across the Sound from his rich cousin Daisy and Tom Buchanan, a college friend. He worked in New York City in the bond business and was a "could-be" writer. Nick was one of the few who got a personal invitation from Mr. Gatsby to attend his spectacular party. After they finally encounter at the party, Gatsby and Nick become instant friends. Daisy Buchanan was the wife of Tom Buchanan. They lived across the Sound from the Gatsby mansion and their friend Nick. Tom worked in New York City as a businessman. Daisy and Tom had a complicated marriage. Tom would get calls at in the middle of dinner from "work", but Daisy knew there was another woman. In fact, there was and her name was Myrtle Wilson. And now to begin the story. In the summer of 1922, Nick moved to Long Island. He was close with his cousin Daisy and her husband Tom and was neighbors with THE Jay Gatsby. Nick was not rich man; however his neighbors and family were. After receiving a personal invitation to a Gatsby party, Nick began experiencing the life of the wealthy. He attended the party, even though he had never met Mr. Gatsby before. He only heard rumors of what the man was like. Turns out, he recognized Mr. Gatsby from serving in the army together. Nick and Gatsby instantly become friends. After an evening at Daisy's house, and an odd exchange at Gatsby's party, Nick learns that Gatsby and Daisy knew each other. Not only did they know each other, but they were once in love. Though in love with Gatsby, Daisy married Tom after Jay went to war and she never heard from him again. When Gatsby found out that Nick was Daisy's cousin, he asked Nick to reintroduce them. Side note: Jay Gatsby has been in love with Daisy since the day they met. Even after he found out she was married, he still loved her. He was "stuck in the past" and hoped to get rid of Tom so that he could have Daisy back. He never truly stopped loving Daisy. Truth is, Daisy still loved Jay Gatsby. But as it seemed, she could never be with him because she was a married woman. However, being married never stopped her. Just as there was another woman in Tom's life (however, Daisy never met Myrtle), Jay and Daisy became lovers. But just as any secret can be kept, they can also be found out. Soon enough, Tom found out about the secret love of Gatsby and Daisy; and everything went downhill from there. Open your eyes. The lavish parties are over, the Jazz music has stopped playing, and people stopped showing up to Jay Gatsby's mansion. As the book ends, so does the luxurious lives of Jay Gatsby and friends. The story is told as a flashback with the narration by Nick Carraway. Its a story of lost lovers who reunite, the tragic death of the wealthy, the true understanding of a person and the meaning friendship. The Great Gatsby is worth the read. I saw the movie before I read the book; I didn't love the movie. It could have been because I didn't fully understand what it was about or simply because it wasn't my kind of movie. However, The Great Gatsby was definitely my kind of book. It gives you insite into the world of the wealthy, tells about magnificent mansions and lavishing parties. It is mysterious and intriguing. As cliche as it sounds, my favorite part was the revealing of all the answers to every possible question you could have had throughout the book. I know what you're think, the revealing. Really?! Yes really. There are so many unanswered questions for the first couple of chapters. As soon as the explanations are given, you get a full appreciation for the book. Favorite quote: "Whenever you feel like criticizing anyone, just remember that all the people in this world haven't had the advantages that you've had." Foreshadow: "Gatsby believed in the green light, the orgastic future that year by year recedes before us. It eluded us then, but thats' no matter- tomorrow we will run faster, stretch out our arms father.. And one fine morning- So we beat on, boats against the current, borne back ceaselessly into the past"
I know it is easier to just go see the movie, however I really recommend reading the well-written, fun, romantic-tragedy and lavishing book. How would you feel if you arrived home to a strange package on your porch? You open up the package to find cassette tapes telling you the thirteen reasons why your friend/ classmate Hannah Baker committed suicide.Your first thought would be to see who sent you the package. Just your luck-no return label. After you listen to the tapes, your life could change for good. Are you prepared to live with the guilt? Clay Jensen is an average kid who is friends with Hannah Baker- just so happens he has a crush on her. Like everyone else, Clay is upset when Hannah dies. He can't understand why she did what she did. One day Clay returns home to school to find a package wrapped in brown paper with no return label on his porch. He opens the package to find 7 cassette tapes wrapped up with a note attached. Clay takes the package into the garage where he knows there is a cassette player. 1) Listen to the tapes, following the map is optional (Clay found a map in his locker a while ago and had no thought about it until he listened to the tape). *A second set of tapes were made, if you don't pass the tapes on, everyone will hear what was on the tapes- they will know how you had a role to play in the suicide. Clay listens to every tape waiting to hear his name- wanting to know what role he had in Hannah's death. As the the stories progress, Clay follows the map very carefully to get a better understanding of Hannah's life. Listening to the tapes made Clay mad. How could her friends act this way? How could they not notice? His story. Clay finally hears his story. He cries. He knows he could have done something, but he isn't sure why he didn't. Clay continues until he finishes all of the tapes. Do you blame him? Would you know how to react if you heard your name on the tape? What were the thirteen reasons why Hannah committed suicide? Was is possible to have stopped her? What impact did Clay and his friends have on Hannah and her death? 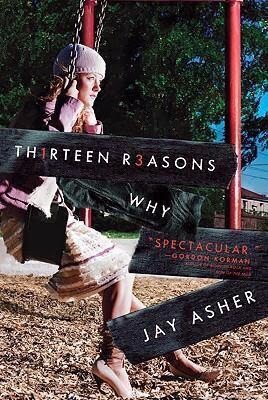 Read Thirteen Reasons Why to find out! People often wonder why a person has committed suicide, what was the "snowball effect" that causes them to make their decision. Thirteen Reasons Why was written in a way that we can understand that every action has an affect on a person and their decisions. Whether or not we choose to notice their cry can only make their decision that much stronger. The fact that the book was written in the point of view of a teenager who committed suicide giving us her story was really cool and a very different kind of book than I usually read. I think the idea and message of the story is what made the book more enjoyable. The book itself has good intentions and ideas, however the actual story was neutral, just another story. I think the way it was written is unique and defiantly worth reading, unless you are under the age of thirteen or fourteen for graphic and topic reasons. Imagine you were dead. Sounds impossible right? Now imagine you wake up in an unfamiliar bed, in a strange room on a ship headed to Elsewhere, almost as if it were a dream. Welcome to Liz's new life. 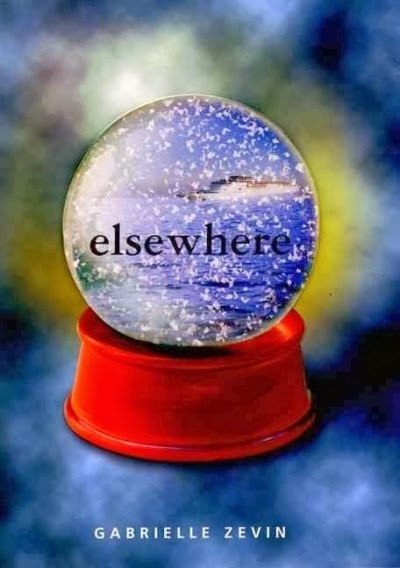 Elsewhere--the place where one goes to after they die to start their new life. A place where you age backwards and spend your days doing the "job" you love. Liz Hall is a typical fifteen year old girl. Excited about driving, high school graduation and college. Everything changes when she is hit by a taxi and dies. Liz finds herself on a new journey in Elsewhere. Liz thinks this is all just a dream; the ship, her new friend and roommate Thandi, and her death. Well, to be fair, Liz doesn't understand that she is in fact, dead. It takes a little while before Liz adjusts to her new life. She is welcomed off the ship by Betty, her long departed grandma who she had never met before (Betty passed away from breast cancer when Liz's mom was pregnant with her). Betty is so excited to meet her granddaughter. Liz was happy to meet her grandmother, to be dead, not so much. It takes a while for Liz to adjust. For months after her arrival, Liz spends all of her time (and Betty's money) at the observation deck, watching the lives of her friends and family back on Earth. Liz is stuck in a slump, will she ever get out? Can Liz learn to love her new life in Elsewhere? Or will missing life back on Earth cause her to make the wrong decisions? Read Elsewhere to find out! I really liked this book, I couldn't put it down- I mean, I read it in two days! Though I thought the topic was a little strange and unlike most of the books I usually read, it was a unique and interesting concept. One thing I really took away from the book is that life is short, and we must appreciate the small things. Though they might not seem like a big deal at the time, when it matters most, the small things will be the most memorable. Another thing, sometimes one is put into a situation that can't be changed. Instead of being upset, try to make the best of it, you might find thinking positive will actually make the situation a whole lot better. I think this book is appropriate for teenagers since the topic of the book might be difficult for younger children. "In the end, the end of life only matters to friends, family, and other folks you used to know... for everyone else, it's just another end." Miles Halter is a unique boy, he can memorize the last words of famous people. Miles is just starting at Culver Creek High as a junior, a school known for its pranks and illegal activities. Just as his parents drop him off at school, Miles is warned not to take part in any action that would get him into trouble. Chip, self-nicknamed the Colonel, is a confident, strong leader who also happens to be Miles' roommate. After a short time, the Colonel gives Miles the nickname Pudge (ironic considering Miles is tall and scrawny). Alaska Young is one of the Colonel's closest friends. She is a very attractive girl. As soon as Miles lays his eyes on her, he immediately falls for her. The three friends go down to the lake to smoke. There, the Colonel and Alaska tell Pudge about the killer swan and how the school works.Alaska promises to get Miles a girlfriend, not realizing that Miles actually likes her. She sets him up with Lara, a foreign exchange student. In between classes, Miles spends his free time smoking and drinking by the lake with Alaska and the Colonel. As Thanksgiving arrives, Takumi, one of Colonel's friends, and the Colonel leave Alaska and Pudge at school to return home for the holidays. The number one rule at Culver Creek High is don't rat anyone out! Unfortunately, Alaska is accused of being a snitch. When the Colonel finds out about Alaska, he is not happy. He is so disappointed in his best friend. How could Alaska of all people be blamed for snitching? Alaska comes up with a plan, a prank that she knew would redeem herself. 1. Alaska, Lara, Pudge, the Colonel and Takumi spend the night in a barn drinking, having a good time and planning out the prank. 2. Using fireworks, Miles and Takumi would force the Eagle (nickname for the principal) out of his house while the Colonel and Alaska focused on another part of the prank. Days after the pre-prank planning, Alaska leaves her bedroom to make a phone call to her boyfriend Jake. When she comes back from the call, she is distressed and upset. Alaska ask the Colonel and Miles to distract the Eagle so she can drive her off campus. Without asking questions they agree. In the "after" part of the book, Pudge and the Colonel finally understand why Alaska fled in the middle of the night. To their surprise, her reasons were very different than what they thought. As they say, the prank must go on. As according to plan, the prank was a success. Why did Alaska flee? What was the prank? Read Looking for Alaska to find out! 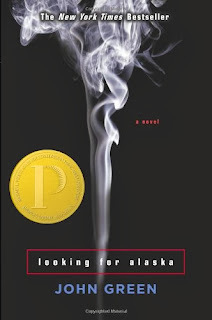 I really enjoyed reading Looking for Alaska. I think the hidden lessons one can learn from Alaska teach a very important and valuable lesson such as friendship and self-discovery. 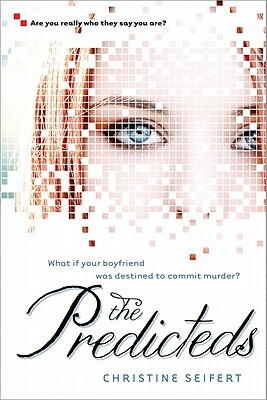 I recommend this book to teens who love drama and a twist on romance. Though the story line is capturing, I don't think this is great read for younger children. Language and drinking are just a couple of reasons why I don't recommend this book to children under the age of 14. Hazel, a seventeen year old girl, lives life to the fullest, except for the fact that she has lung cancer. Hazel's mom sends her to support group every week. There, Hazel befriends Isaac, a soon to be blind boy. One day at support group, Hazel meets a tall, mahogany haired boy named Augustus Waters. He is Isaac's friend, who joined the group to support Isaac. Hazel and Augustus quickly become friends. With time, Augustus and Hazel became more than friends... yes, they start dating. After introducing Augustus to her favorite book An Imperial Affliction, Augustus surprises Hazel by taking her to meet the author. Of course, meeting your hero is not always what it lives up to be. Hazel and Augustus have a very disappointing experience with meeting the author. 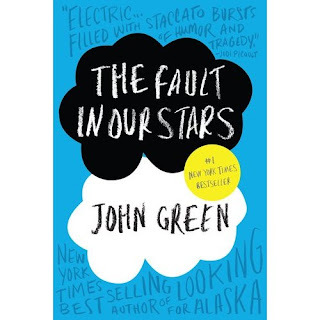 Hazel starts second guessing her relationship with Augustus. She knows she isn't getting better quickly and she doesn't want to put Augustus in a difficult position of being forced to stay with her because of the cancer. After a few days of finding out some terrible news, Augustus tells Hazel that his caner has come back. Hazel is extremely understanding and supportive when she finds out this news. As Hazel is coping with her cancer, Augustus is only getting worse. What was the disappointing experience with Hazel's hero, the author? 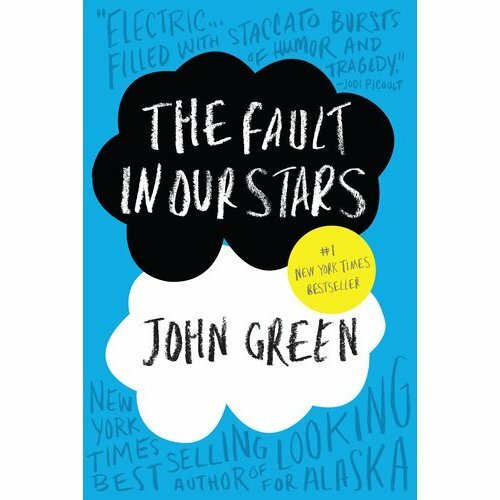 DoAugustus and Hazel get better from their cancer? Most importantly, do Hazel and Augustus stand by each other no matter what? Read The Fault in Our Stars to find out. I absolutely loved this book. In fact, I couldn't put it down, I read the entire book in ONE day! I recommend this book to lovers of romance. Though normally I don't cry while reading books, for the exception of when Dobby died in Harry Potter, this book brought me to tears. Favorite quote: Augustus Waters "It's a metaphor see: you put the killing thing right between your teeth, but you don't give it the power to do it's killing." Jason have been best friends Sunshine and Drip since they were six. They consider themselves part of the alphabet- Drip has ADHD, Sunshine is SM (selectively mute) and Jason is SCZI- schizophrenic. Jason and his friends have always had trouble in school whether it was with the teachers or kids because of "their alphabet." When Sunshine disappears one day after school the whole town goes into a frenzy. Everyone starts to search for her. Close friends and family, or anyone who had seen her that day, are questioned. Jason is sure it isn't his fault Sunshine is missing. Him and Sunshine are such close friends, he would never hurt her. Unfortunately, the voices in his head try to convince him otherwise. They would torment Jason and blame him for everything. Jason just couldn't take it any longer, he knows he didn't do it though. Jason and Drip joined the search parties despite the fact their parents aren't thrilled with them going. The two boys decide to go to their secret hiding spot, maybe Sunshine was there and just hiding from everyone. To the boys disappointment, Sunshine isn't there. They go back to the house to continue to wait. Maybe Sunshine would show up. As the search continues, Jason's meds start to wear off. He refuses to take more, taking more would make him sleep and Jason needed to stay awake to find Sunshine. However, without his meds in him, Jason was looking more and more guilty of being the reason Sunshine was gone. Was it really Jason's fault Sunshine had disappeared? If it wasn't Jason's fault like he said, then whose fault was it? Would they ever find Sunshine? Read Freaks Like Us to find out. I loved this book. It was well written and had great details. I couldn't put the book down, the suspense of what was happening was so intriguing. 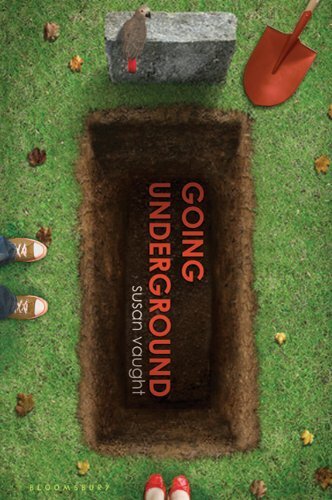 Though the book said it is appropriate for 7th grade and up, I think it is better suited for 8th grade and up because of the reasons that Sunshine disappears and how everyone deals with the disappearance. Would you have the guts to hack into Harvard just to mess with the admissions process? Max, Eric and Schwarz did just that. Max is fed up and tired with the fact that his father, Maxwell Sr., wants him to go to Harvard. Max just doesn't want to. He comes up with a plan to hack Harvard. Max, with the help of his friends, Eric and Schwarz, are going to get a deadbeat nobody into Harvard. To make the stakes higher, the three boys make a bet with the Bums. A stake that raises the bar of getting Clay, the deadbeat nobody, into Harvard a lot harder. Along the way, Eric meets Lex. She to is applying to Harvard. This makes Eric have second thoughts about the hack. If Clay gets in to Harvard, does that mean Lex won't? Eric put that thought aside and continued to help Max with the hack. Turns out Lex has a secret too. She has been playing Eric the whole time. She is also involved with the hack. But in a different way. At first she is on the side of the Bums, helping the win the bet. Later, she switches sides and plays against the Bums. Why is Lex helping the Bums? Can they get her into Harvard? But does Lex make the right choice in fighting the Bums and not helping them? Who ultimately wins the bet? Do Lex and/or Clay get into Harvard? Read Hacking Harvard to find out. 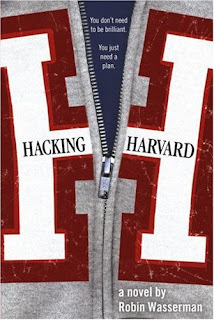 I really enjoyed reading Hacking Harvard. It was so tempting to keep reading to find out how the hack worked, what happened to Lex once she switched sides and who ended up getting into Harvard. The detail were so descriptive and made the book worth reading. I recommend this book to 7th grade and older. Well I have to go and hack Harvard... just kidding! Ever thought about how a lie could affect your life? How it might change someone else's life? Phillip Malloy learns about lying the hard way. When his English teacher, Mrs. Narwin gives him a bad grade, Phillip makes Mrs. Narwin's life very difficult. He disrespectfully sings the National Anthem, when the students have to be silent, causing him to be suspended from school. Phillip's suspension becomes a nationwide issue. Many people are very angry that Phillip gets into trouble for being patriotic. They write letters to Mrs. Narwin as well as to the school. After feeling the pressure of receiving so many letters, Mrs. Narwin decides to resign. Phillip's intention is simply to annoy his teacher, however his behavior results in ruining Mrs. Narwin's reputation as well as his own. What happens to Phillip after his suspension? Read Nothing but the Truth to find out. Nothing but the Truth teaches us that lying can be very destructive. Even though Phillip found himself in a difficult situation-his teacher that was failing him- Phillip could have dealt with the situation in a different manor. This was not one of my favorite books. In my opinion, it begins with a great idea. However, as the story progresses it becomes somewhat confusing because there is not enough detail to explain the story. For this reason I do not feel that the plot is fully developed and left me feeling unsatisfied. Despite my feelings about this novel, I am sure that there are many children in middle school who would find it to be an easy read with an important lesson. Although I read this book as a mandatory ninth grade assignment, in my opinion it is better suited for slightly younger readers. Wouldn't be cool to be able to read someone's mind just by kissing them? Who wouldn't want to gain all the information they need for a test just from one simple kiss? Emerson Taylor has a gift and a curse all at once. She is able to read the mind of a person she kisses. Unfortunately, Emerson isn't the greatest student. If she keeps failing her classes then her aunt, Arch, is going to make her switch schools. Once Emerson realizes she can gain all the information she wants from kissing guys, she does just that. Emerson kisses the Ivy nerds so she can learn the information for her tests. She knows it is wrong, but Emerson really hates disappointing Arch. If kissing boys will help improve her grades, then Emerson will kiss Ivy nerds. Though Emerson's plan is well thought out, she starts to fall in love with Edwin. The weird thing about Edwin is when they kiss, Emerson can't read his mind. Now she has a HUGE problem; should she keep kissing the Ivy nerds or stop because of Edwin. Even bigger problem; should she stay away from Edwin for the risk of kissing him and not being able to gain information? What would you do if you had this special talent? Would you stay with Edwin cause you love him even if you can't read his mind? Or would you continue to kiss Ivy nerds for the information and live in fear that Edwin might find out? The choice is all up to Emerson, but what should she do? 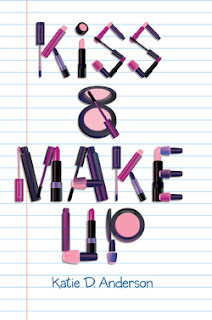 Read Kiss and Make Up to find out. I really enjoyed this book. The way the details were written made the book more interesting to read. Kiss and Make Up talk about an ethical problem; the idea of cheating. Emerson has the choice to kiss the Ivy nerds and get the information by cheat, or she can study and learn the material by herself. Though cheating may seem like an easier way out, it is absolutely wrong and NEVER the right answer. I hope you enjoy reading Kiss and Make Up as much as I did. Sadie and Carter Kane, two young magicians, are needed once again to restore Ma'at (order) to the world. Apophis, the Chaos snake is loose and attempting to destroy the world. It is up to Sadie and Carter to stop Apophis. Can they do it? Of course, along the way these two magicians run into some trouble. The two magicians need the spell from the Book of Thoth so they can destroy Apophis's shadow. Sadly, all of the books have been destroy... except for one. Setne, a ghost magician who wrote the Book of Thoth knows where the final copy is. Unfortunately, Setne, an evil demon, whose heart is about to be weighed will most likely be destroyed taking the secret location with him. Sadie and Carter along with the help of their friends, Zia and Walt, have to convince Osiris (Sadie and Carter's father), who controls Setne's trial, to let them take Setne, and retrieve the final copy of the Book of Thoth. Osiris is reluctant at first because Setne is a very dangerous ghost but once he hears his children's plans he understands what he must to do. Carter and Zia go with Setne to get the Book of Thoth. Of course Setne is not going to be an easy ghost to deal with. After all he is EVIL. With plenty of trouble and near death experiences, Zia and Carter FINALLY get the book. Sadie and Walt try to rescue the shadow of Bes, the dwarf god, to bring him back to life, all while keeping themselves alive during a hunting game with the god Neith. Are Walt and Sadie able to save Bes' shadow and bring him back to life? Setne takes Carter and Zia to Apophis' shadow which they plan on capturing in order to destroy Apophis. Setne makes the process very difficult. Luckily, Sadie drops in at the right time and Carter and Sadie are able to capture the shadow. Now for the hardest part, defeating the GIGANTIC snake. Carter, Sadie and Zia along with many of the gods and few magicians attempt to kill Apophis. But are they successful? Not only does Sadie run into magical trouble, but boy trouble as well. She is torn between Anubis, the God of Death, and Walt. Unfortunately, Sadie's problem gets worse. She is forbidden to to see Anubis, and well, Walt is dying. Sadie needs both Anubis's and Walt's help to defeat Apophis. Which boy does Sadie end up with? 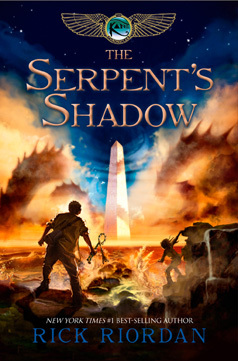 Read The Serpent's Shadow to find out. I would recommend this book to anyone who loves magic, action and a little bit of romance. It is a thrilling book worth reading. I absolutely love reading Rick Riordan books and this is just another amazing one. Have you ever really stopped to think about how you really feel on the inside? How about what really makes you special? If you haven't, well now is the time to do so. The Secret Book of Me allows you to look deep down on the inside and draw, or write what you feel. This is a great book for any child from the ages of 6-12. Feel free to share your answers with a friend or keep them totally a secret just for you. This book is a fantastic way to discover who you really are. Even though I am 14, I enjoyed sitting in my bed at night before I went to sleep filling in and drawing pictures about me. Annie Lockwood, a fifteen-year- old girl is stuck in a romance problem. She is having problems with her boyfriend, in 1995. After falling 100 years back through time, Annie finds herself falling for Strat, a handsome young man. Now Annie has a problem. Should she forget about Strat and stay with her boyfriend who she is having problems with in 1995 or remain in 1885 with Strat whom she has just met but fallen helplessly in love with? Of course, disappearing 100 years into the past can cause a lot of problems. Not only, does this affect Annie's relationship in her own time, but she manages to ruin a marriage in 1895 as well. Annie learns how hard living in 1895 is. Even so, she wants to stay there and be with Strat. She realizes love can't stop her, but time can. Will time let Annie stay in 1895? 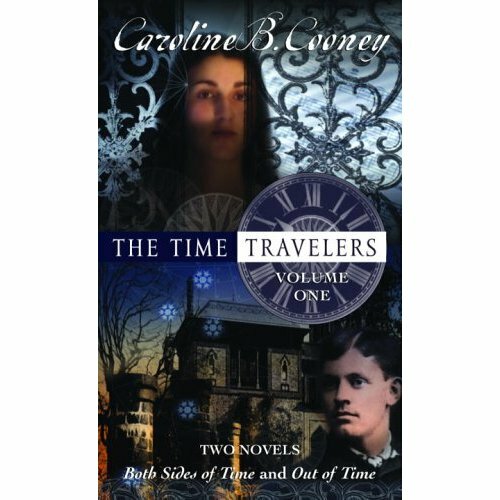 Read The Time Travelers to find out which path Annie Lockwood chooses. I would recommend this book to a 13 year old girl and older who like romantic love stories. The book had great details and was very well written. I enjoyed reading this book. PROFILE results have the entire QH school in a tizzy. Everyone is obsessed with finding out which of their classmates are predicted. Daphne has just switched to QH school after her move. Everyone at school is talking about the program PROFILE. PROFILE predicts a student's future behavior. After a shooting that took place at QH, Daphne has met a boy named Jesse (they are now boyfriend and girlfriend). Daphne soon learns her mom, Melanie was the one who invented the program PROFILE. Not only that, but her boyfriend, Jesse is predicted. Everyone is taking the "predicted situation" very seriously. A separation between predicted and non-predicted is driving Daphne crazy. She thinks it is wrong for the predicted to be treated badly just because they are likely to do bad things in the future. Can Daphne change people's views on the Predicted kids? How is Jesse and Daphne's relationship affected because Jesse is predicted? Read The Predicted to find out. I thought this was a great book. I enjoyed the story line. It was cool how PROFILE could predict peoples' future. I recommend this book to girls 14 or older because the novel does have high school kids drinking. Also because some of the way the students act towards each other is not great for younger kids to read about. Whit and Wisty Allgood have a gift, they each can do magic. Wisty has the power of fire and Whit can foresee the future. The One, the head of the New Order, has taken over the government. He has banned music, books, art and anything that makes people happy. The One has taken Whit and Wisty's parents as well as Whit's girlfriend Celia. Whit, Wisty as well as some of their friends are part of the Resistance- a group of children who are trying to overthrow the N.O. Whit and Wisty use there magic and try to stop The One. Along the way the two siblings get themselves into a lot of trouble. Can Whit and Wisty stop The One? Do they rescue Celia and their parents? Can they overthrow the N.O? Read Witch and Wizard- The Gift to find out. I loved this book. It was very detailed and thrilling. I enjoyed that there was magic involved. I recommend this book to children in 8th grade and older who like thrillers, slightly scary, a great story. I don't recommend anyone younger than 8th grade should read this book because it is very graphic and some of the problems the children go through are slightly disturbing. Aside being a thriller and a little disturbing for younger children it was a great book. Alexa lives in Kendlenook, a village with her two sisters, Eva and Daria, along with the rest of the other fairies and creatures. The only creature that has encountered and believes in humans is the Dryard Ispirianza. Just like Ispirianza, Alexa met a human girl,Elsie. The village of Kendlenook has been worried about The Scarring, a power which destroys nature created by humans, for a very long time. They never thought it would come so soon. The Scarring has finally reached Kendlenook. It is up to Alexa, the chosen fairy to stop the Scarring. It is a dangerous and difficult journey she must accomplish. Alexa must go to Evernaught, and steal candledark, capture her shadowfairy, convince it to giver her silk and make her way to the human realm. Alexa meets Mara, a firefairy. Mara helps Alexa to complete her mission of stealing the candledark and capturing her shadowfairy. The two fairies go through a lot of trouble. They must fight of Oths, evil fairies who believe lies are the right way of life. They also have to capture Alexa's shadowfairy. 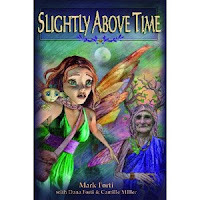 Can Alexa and Mara steal the candledark, capture the shadowfairy and make it to the human realm in time? Will Alexa be able to stop the Scarring? Read Slightly Above Time to find out. I recommend this book to girls in 4th grade who enjoys fantasy and fairies. I enjoyed this book, however, it was a little young for me. The book had great details, very descriptive and the drawings were so realistic and cool. Katniss lives in District 12 with her mom, sister Prim, her best friend Gale, Peete, the baker's son and the rest of the community.The leaders of the Capitol want to show they are in charge, so they create the Hunger Games to prove just that. Its that time of the year, the time to choose the a boy and girl from each district to fight to their death at the Hunger Games. Katniss and Peete are chosen from District 12 to join the 22 other boys and girls in the fight to their death. At the Hunger Games, Katniss and Peete do all they can to survive. Using their hunting, fighting, camouflage skills and allying with some of the other tributes, Katniss and Peete manage to survive. 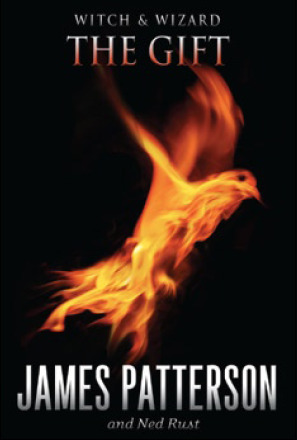 Peete even confesses his love for Katniss, hoping to convince everyone they are madly in love. They are hoping being in love with keep them alive in the games. Some of the worst parts of the Hunger Games is watching the other tributes die, being put in the position of killing them, not knowing how you can survive and the Capitol doing all they can to make sure everyone dies but one. Do Katniss and Peete live? Who is the survivor of the Hunger Games? Is Peete and Katniss's plan of being madly in love enough to keep them alive? I loved the Hunger Games. It was amazing. I loved the great details, and the whole story line. The Hunger Games is one of the most addicting (in a good way) series I have ever read. I recommend this book for children 12 and up who enjoy action and slight romance. This is a fabulous book worth reading. "may the odds be in your favor"
Emily hates being the middle child. The boy she likes, likes her older sister, Charlotte. When he isn't crushing on Charlotte, he has the hots for Emily's younger sister Anne. In other words, Charlotte and Anne get everything because they are the youngest and oldest daughter, leaving Emily with whatever is left. An English assignment has driven Emily crazy. Which book should she choose? Maybe I should start from the beginning. Emily's English teacher gave her an assignment to write an essay about three things she likes about a book, and one thing she would change. Emily first had to decide which book to choose. Finally she chose Little Women. Emily's plan was to change the fact that Beth dies and Laurie ends up with Jo, not Amy. As Emily starts to read Little Women, when she is whisked into the story. Emily is now part of the book as the fifth March Sister. Emily has to adapt to the way of life in the 1600s. And not only that, but she has to act as if she has always been part of the family. Jo and Emily bump heads quite often because Jo has such a strong personality and Emily starts standing up for herself. Emily has a very hard time making things right in the story. The worst part is, the only things she remembers is what happens in the original story. Emily learns that nobody is perfect. She learns the life lesson that jealousy gets you nowhere. Unfortunately Emily learns the hard way. Not only is she the middle child at home, but she is also the middle child in the story. Because of this, Emily has to learn to deal with her jealousy of Jo liking Laurie and the fact that Laurie doesn't like her, he likes Jo. Emily also has to understand that Jo is the writer of the family, and even though Emily loves to write, writing is Jo's thing. As time goes on, Emily begins adapting to the way of life in the 1600s. She even stops worrying about her "real" life in the "real" world. Emily is waiting for the opportunity so she can prevent Beth from dying. And no matter how hard Emily tries, she has no ideas how or when Beth is going to get sick. Eventual Beth becomes sick. Emily tries to get rid of her sickness, but only delays the fact that Beth dies. Does Emily stop Beth from dying? Will Emily make it home and out of the book? Does Emily learn that it is okay to be the middle child? 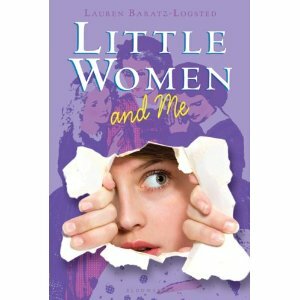 Read Little Women and Me to find out. I really enjoyed this book. I thought it was a great twist on Little Women. However, I do recommend reading the original first because then this book makes more sense. I think any girl 12 years or older will like reading. Del is a troubled boy... well he was, and three years later he is still paying for it. Del works in a graveyard digging graves after school. He can't get jobs like most people can, or go to the college he wants, like most people his age. Del has a criminal record following him for the rest of his life. It all started when he was 14. Del was a normal teenage boy playing baseball and hanging with friends. That all changed the night he and his friends were arrested by the police. Now that is the story for Del to tell you. I can tell you this, Del's life was never and never will be the same again. I recommend this book to anyone 13 or older. This was a great book. However, because it does curse a little bit and the whole story of why Del is considered a criminal, this book is not appropriate for younger children. Wanna know a great way to start the new year? You should definitely read the Guinness World Records 2012! This year's edition has all new, exciting and interesting records about people, animals, talents, sports and so much more. It is very cool to read about different attempts people have made to set new world records, and about those who have succeeded in breaking them. Some of the records you read in this book are unbelievable and crazy. Reading this book is a great way learn random and interesting fact. I enjoyed reading Guinness World Records 2012 a lot. I think anyone who is fascinated with facts, pictures, and CRAZY and UNBELIEVABLE records will love reading this book. Have you ever wondered about where Ripley's Museum first started? Or Where Mr. Riply's first lived? Or even how he started his love for crazy facts and people? This summer I went to the first Riply's Believe It or Not Museum in St. Augustine, Florida. It was a lot of fun. I saw all different things, such as the tallest man, the fattest man in the military, the smallest car, biggest shoe size; a size 22!!!!! I saw some pretty crazy things.... Believe It or Not!! I think everyone should visit the Museum, if not in Florida, then in New York City, or anyone near you. It is an AMAZING experience and a really fun time for children and and adults alike. Ponyboy, Soadapop, Dally, Steve, Johnny, Two-Bit and Darry are all Greasers. They are from the lower class of people. One night Ponyboy was jumped by a gang of Socs (short for socials), Kids from the upper class. 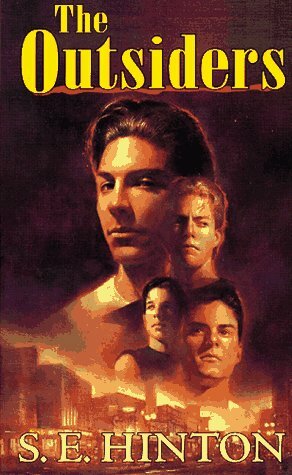 Ponyboy's brothers and the rest of the Greaser gang saved Ponyboy. Johnny and Ponyboy went to the movies. There they met a couple of attractive Soc girls, Cherry and Marcia. Later during the movie Two- Bit met up with Ponyboy and Johnny. Johnny, Two- Bit and Ponyboy walk the girls to Two-Bit's house so he can drive them home. On they way home, The kids run into Marcia and Cherry's boyfriends, Randy and Bob. The girls were forced to go home with their boyfriends at that point so no fights would break out between the Socs and the Greasers. Ponyboy is late getting home one night. Darry is really angry, so he and Ponyboy get into a fight. Darry then slapped Ponyboy across the face. Ponyboy was really angry and upset so he left the house and ran away. Ponyboy ran to find Johnny. The two boys ran to the park. At the park, the boys ran into Bob and Randy and part of the Soc gang. One of the gang members took Ponyboy and was trying to drown him in the fountain. Johnny then killed Bob in order to rescue Ponyboy. Johnny and Ponyboy go find Dally for help. Dally helps his friends to his best ability. The Greasers and the Soc prepare for a rumble. Who wins the rumble? Does Ponyboy finally return home? What happens as the rumble gets closer? How does Darry and Ponyboy's relationship change since Ponyboy ran away? Read the Outsiders to find out. I loved this book. I thought it was well written and had such a great plot and storyline. I liked the fact that the author portrayed the characters with characteristics that showed they had two side- a good and a bad side and how some of the characters were misunderstood. One thing I learned from this story not to judge people of mistreat them because of their class or how they act because you could completely misunderstand a person and you should never "judge a book person) by it's cover (outside). " I recommend this book to anyone in middle school and older because it is has a great message and a good read to pass the time. Violet is a sixteen year old girl. Colin, an orphan Violet's mom has taken into her care, helps Violet have sittings and talk to the spirits of people who have passed. Violet, her mom and Colin have been invited to Rosefield for a sitting. Violet soon discovers she can communicate with passed spirits. Violet has encountered one spirit, Renowean, Tabitha's sister. Tabitha is a girl who Violet meets during her stay in Rosefield. Renowean needs Violet to help her let others know that murder. You see, everyone thinks Renowean drowned by mistake and it was an accident. Everyone soon learns it wasn't an accident. 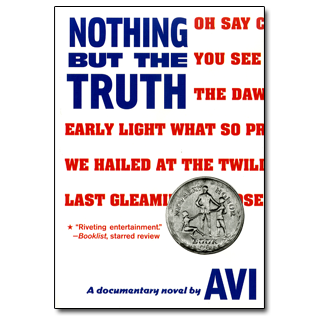 It is up to Violet to tell the world the truth of what really happened the night Renowean was murdered. Violet is at the age where she is soon going to marry. Her mother wants her to marry a rich and well known man. That lucky man is Xavier Trenswithy, a rich, good looking man who a trader. Violet falls for him, but is not sure if she wants to marry him. She has also fallen for Colin, the poor orphan also good looking boy who works for Violet's mother. Can Violet solve the murder before anything happens to Tabitha? Who was the murderer? Who does Violet end up marrying? 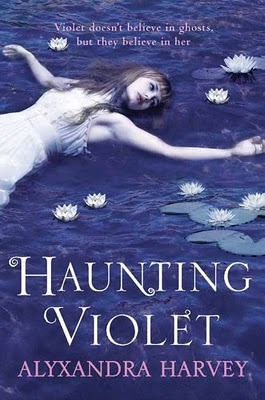 Read Haunting Violet to find out. I enjoyed this thrilling, creepy murder mystery book. I did scare me a bit I still could not put it down. It was well written, had great details and a surprise ending that you are not going to want to miss. I do think this book was written for ages 14 and up because of some language. The plot and the well written details may be to old for some children. However, if you enjoy thrilling murder mystery books you will definitely enjoy this book. Apophis, the Chaos snake is rising. It is up to Carter and Sadie Kane to stop him with the help of the new trainees. Sadie and Carter are planning to find and bring the Sun God, Ra back to help defeat Apophis. Unfortunately, no one knows where Ra is. In order to find Ra, the Kane kids have to first find the Book of Ra and learn how to chant the spells. Rumor has it that Ra, the Sun God is senile and completely out of it. How will this affect their journey? Throughout the book, Carter and Sadie both deal with their personal love life. As you remember in the Red Pyramid Carter fell in love with Zia's Shabtai, now he is on a mission to find the "real" Zia and hopes she remembers him and still likes him. Sadie on the other hand is falling for Anubis, the God of Death, and Walt, who is a decedent from a cursed family line. Will Sadie and Carter find the Book of Ra and learn how to chant the spells in time to bring Ra back and defeat Apophis? Will Ra be of any use once he is found? Will Zia remember Carter? What about Sadie, who does she end up falling in love with? 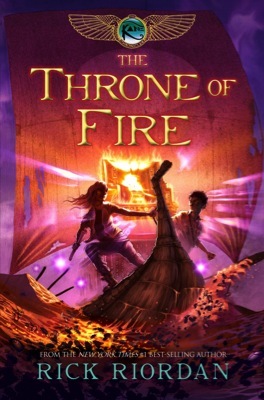 Read The Throne of Fire to find out. I enjoyed reading this book. I loved the thrilling adventures and gambles the characters face. I love the story line and how the characters have to use magic. This book has many twists and turns and very surprising actions that will keep you in suspense and you'llwant to keep reading the book and not put it down. As I loved the book, I did find the ending a little bit of a disappointment, however, the action and thrills of the rest of the story made up for the ending. I recommend this book to anyone who enjoys thrilling, magic filled adventures with a bit of romance and tons of action. I also think anyone who likes Rick Riordan's books should read this. 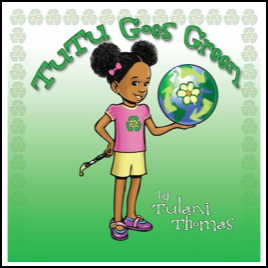 TuTu loves to be green and save the Earth. She and her parents do whatever they can to save the planet. In this short picture book for young children TuTu teaches a very valuable lesson to be green and teaches you some ways to do it. I would recommend this book to any child in preschool until first grade because it is a great picture book for young readers. Also it is very important to save the Earth and go green and this book give explanations and tips on how to be green. I also think the pictures are very well drawn and this is a very kid-friendly book. GO GREEN AND SAVE PLANET EARTH! I enjoy reading very much. I just hate needing to fold down the corners to mark my page that I am on. It just makes the book look so old and ruined. At BEA this year I came across a booth- Trends International where I saw they were displaying bookmarks. I was looking at all sorts of different kinds. One really caught my eye. It was a Tinker Bell Cool Clip. It makes reading very fun, now being able to mark my page and see a very colorful, cute and fun character holding my place. I would recommend these bookmarks to any age because there is a character for all ages to enjoy. 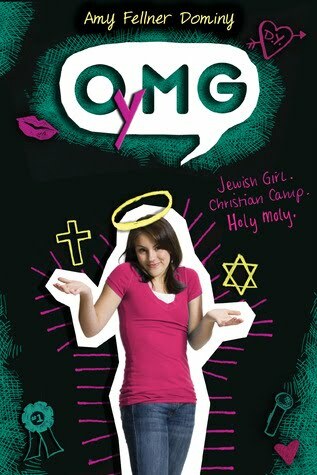 OyMG is about Ellie Jane Taylor, a Jewish girl who lives with her brother Benny (Jewish), Mom (Jewish) and Dad (Lutheran). She lives down the street from her very religious Zeydeh. Ellie loves to argue about anything and everything. She is accepted to a Christian debate camp, and if she wins the oratory tournament she could get a scholarship to Benedict school. Zeydeh is not so happy that Ellie is going to a Christian camp. At camp, Ellie falls for her competition, Devon Yetes, the grandson of Doris Yetes. Doris Yetes is the woman who started and gives out the scholarships. Ellie is asked by Doris to have an interview. Devon warns Ellie to put her Bubbe's Jewish star necklace away because Doris Yetes is kind of "weird" about Jewish people. Doris gave Ellie a scholarship form to fill out questions. Ellie wasn't sure what she should put as her religion. She put Christian, technically she was half and half so she wasn't completely lying. Of course, Zeydeh was not happy about this. Ellie explained to her parents her reasons for writing Christian. Doris Yetes sees so much of herself in Ellie. Throughout the story you learn about Ellie's struggles about friends, family,religion and who she really is as a person. Does Ellie end up getting the scholarship? Does she change her religion on the form? Does Ellie learn to stand up for what is right even if she isn't sure who is standing with her? Does Ellie end up going to Benedict school? Read OyMG to find out. I loved this book. I couldn't put it down. You learned about the struggle any Jewish person faces, no matter the age, by being proud of their religion. You also learn about how people can be antisametic because of a person's religion. This book shows how in real life you are going to be faced with many difficult decisions, struggles and choices but you will always have friends, family, and teachers guiding your way and helping you. I would recommend this book to 7th graders and up because it has a great message about friendship, family, love and about being proud of your religion. Nate has just moved into town. He soon becomes friends with Pigeon, Trevor and Summer. 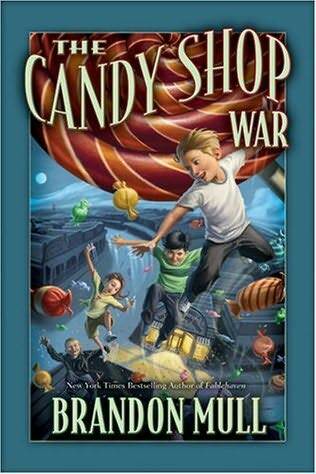 The four children find themselves working for Mrs. White, a candy maker who makes special and magical candy. The children are sent out on missions to retrieve special and secretive items for Mrs. White. As rewards, Pigeon, Nate, Summer and Trevor are given new, secret, magical candy to test out and keep. The four children soon learn that Mrs. White and Mr. Scott, the ice cream man, are magicians. Mrs. White sends the children on crazy missions so she can get rid of Mr. Scott. But why? It turns out that Mrs. White is seeking a special treasure, and Mr. Scott is trying to to protect it. Mrs. White wants the four children to brainwash Mr. Scott. Summer and Pigeon refuse, so they are immediately excluded from getting the magical candy, going on missions and working for Mrs. White. Nate and Trevor agreed to brainwash Mr. Scott. However, they do their best to avoid actually doing it. After Nate, Pigeon, Trevor and Summer betray Mrs. White, the four children do whatever it takes to help Mr. Scott to protect the treasure. Who end up with the treasure? What happens to everyone in the end? Does Mrs. White end up with the treasure? I really enjoyed reading this book. I thought it had a great story, and a bunch of twists that kept you really interested in reading the book. I recommend this book to fifth graders and up. I am a girl who LOVES to read! My favorite is fantasy but I will read anything you give me. I also LOVE to write poems and stories.